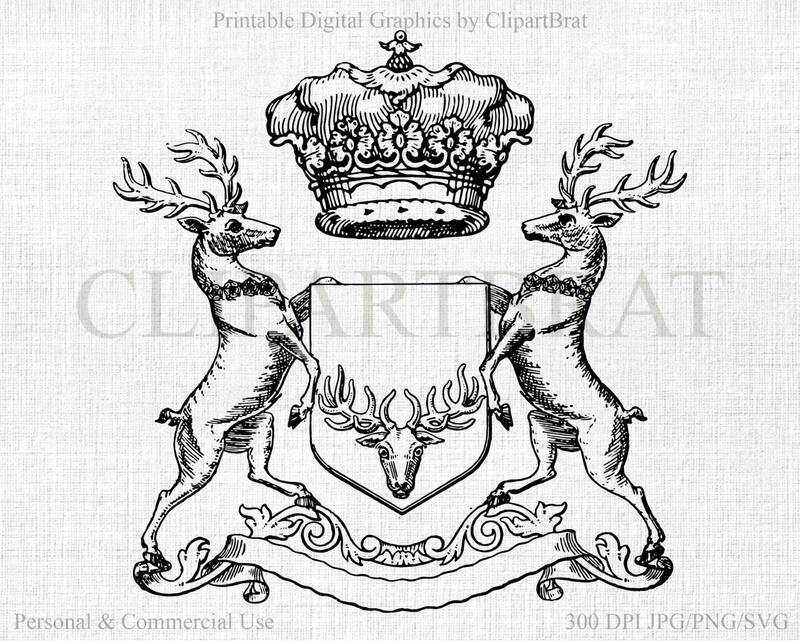 DEER & CROWN CLIP ART: Have fun creating with this DEER & CROWN GRAPHIC For personal and COMMERCIAL USE! No strings attached! Our clipart can be used for anything, any purpose. No need to ask! 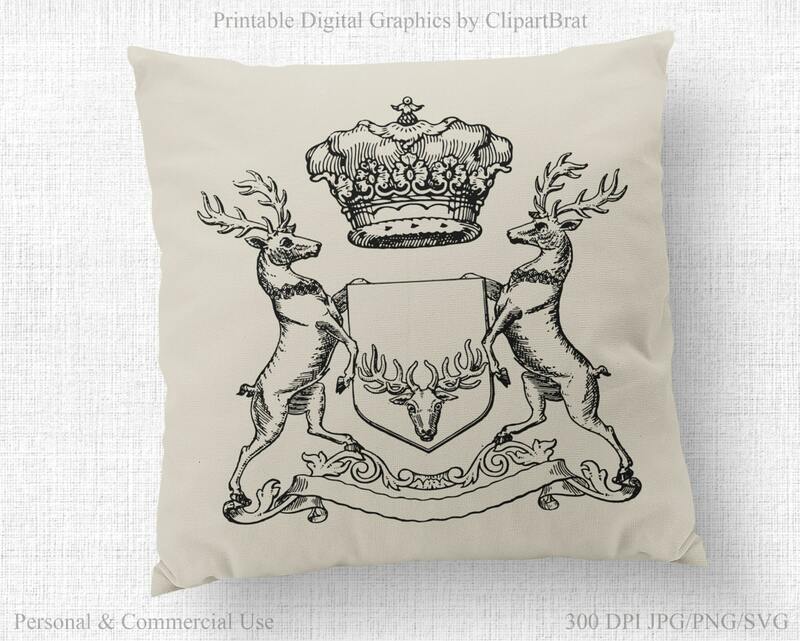 Large high quality digital Image of an antique DEER & CROWN illustration. Printable Graphics for iron on transfers, Websites, Crafts, Cards, and more. This is Real vintage art. SVG (Scale-able Vector) Vector format INCLUDED!! You can Size this image up as high as needed with the SVG file, with no quality loss or distortion! This Antique Vintage illustration features a DEER & CROWN. High quality 300 DPI - 8½ x 11 inches. - 1 SCALEABLE SVG File- Able to resize this file in programs like coreldraw, photoshop, and illustrator, or any vector program. A couple of tutorials on how to transfer an image to items you can sell on etsy! YOU MAY NOT share, resell or redistribute the actual graphic IMAGE, ie: the digital files and Graphic image/paper pack collections. All other use are Ok.